Starting this week off on a positive note and sharing an experience with everyone. I recently was fortunate enough to enter and win Séchoir's sassy summer giveaway. The item I won was a bronze linen tank via the Loft. Séchoir is all about styling, No really it is a styling video series that is choc full of savvy tips and shopping opportunities. 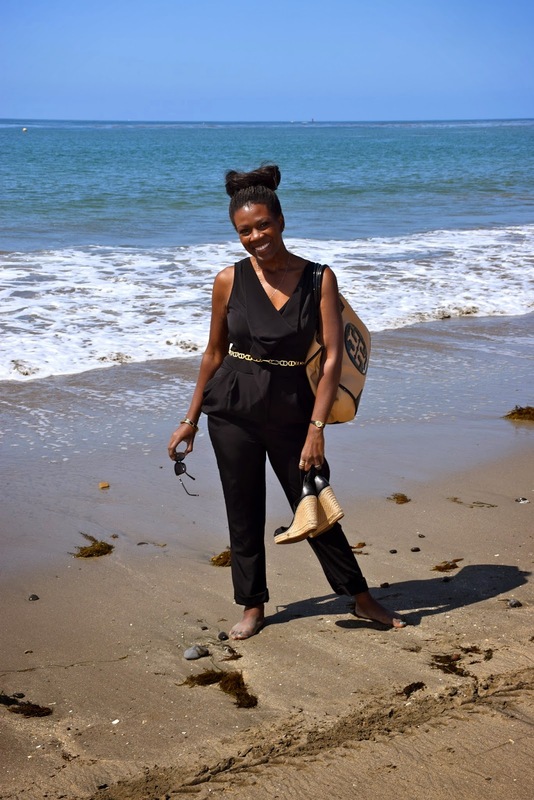 Many of the videos feature LA-based blogger and fashion stylist, Tanya Dempsey. Inspired by Tanya's edgy and sassy videos I styled the newest addition to my wardrobe with statement accessories that I felt added the perfect touch of flair. I have been spending an amazing amount of time at the beach this summer making sassy and fashionable memories. I feel extremely blessed to live in California. Where I can drive in one direction towards the ocean and to the mountains in the other. 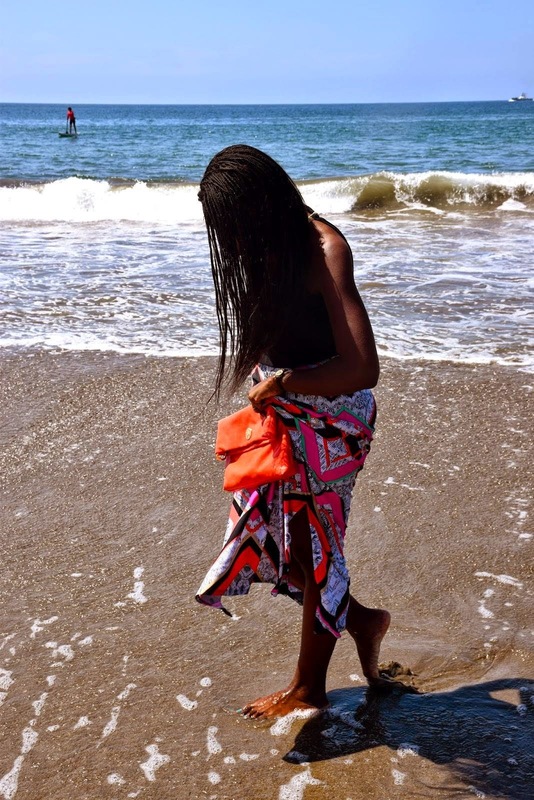 With a good amount of my leisure time spent at the beach I opt for sandals and comfortable maxi dresses. This week I felt encouraged by Aztec inspired patterns and vibrant colors. Nail color is a huge aspect of completing a sassy and stylish look. My summer manicure color essentials incorporate the iconic summer aspects of Sun, Sand and Sea! OPI's "Start to Finish" is one of my personal favorite 2-in-1 polishes. The polish primes and protects while providing just enough sheen to allow the focal point polish to take the lead. Deborah Lippmann's "Walking on Sunshine" polish is ideal and adheres to the theme brighter is better. For those seeking out additional sassy rays this is your polish. White hot, for anyone who has spent the summer season at the beach you know exactly how hot the sand can get! "Blanc" by Essie is a neutral option that ensures that regardless of the events you plan on attending this summer you are sure to "nail it". I love the water and this Top Shop polish is a "savvy savings" option that subtly conveys a refreshing tropical essence. Savvy Tip: You can mix and match with this specific color palette for a summer manicure that is uniquely you! Which color will paint your summer picture perfect? 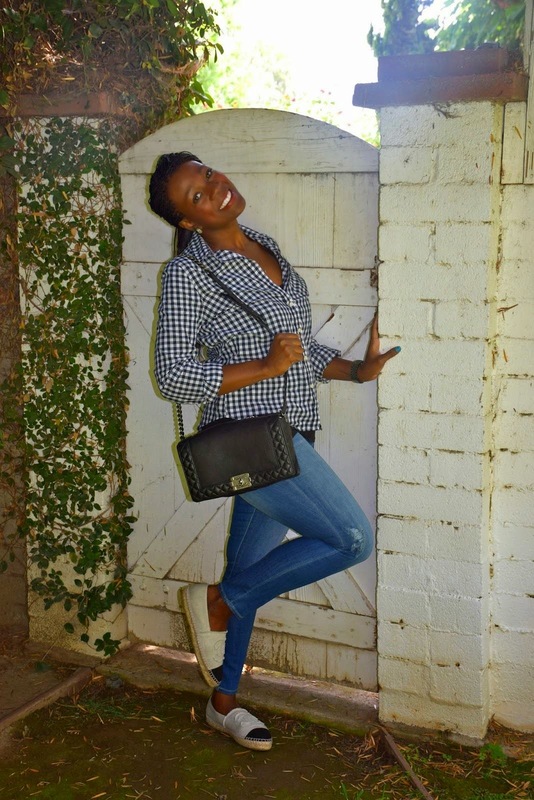 It is no secret that I have a true passion for classic lady like pieces when curating my wardrobe. With that being said the perfect pairings for summer footwear include feminine and classic espadrilles. Here are a few of my favorites that will ensure stylish weekends all summer long. The ultra feminine Kate Spade New York strappy sandal features delicate ankle straps and bows,creating that perfect balance of sassy and stylish. This pair encompasses all that what we have come to know and love from Kate Spade. Next up is flat out comfort by Tory Burch, which is a savvy cost effective option. In contrast to the Chanel splurge espadrilles that I posted earlier here. These espadrilles are great for running errands while still placing your best foot forward. The J.Crew platforms featured in a light hued pink provide the "everything in moderation " option. These espadrilles are savvy as they provide a high-end finish while maintaining comfort. Remember a shoe that has a slight heel or wedge instantly adds visual length to the legs. Last but not least the classic summer wedge via Lilly Pulitzer. An elevated wedge that is perfect for those that want to dress up a daytime look and are seeking new heights. Which pair are your sole mates ? 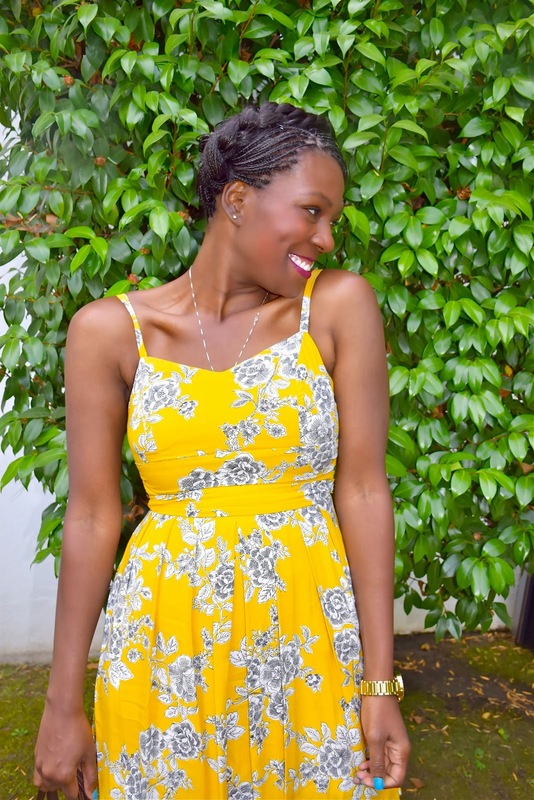 This week I have decided to focus on color as I am actually in the process of learning to embrace color and prints. I generally have been the type of girl who believes “black is the new black” as I find the color timeless and classic. To assist me with diversifying my wardrobes color spectrum I am seeking out brightly hued garments with timeless lines. I opted to incorporate a bohemian inspired hairstyle as a savvy option for the warm summer months. I have to admit that the Row designers Mary-Kate and Ashley Olsen in addition to Kourtney Kardashian are among those that inspired my incorporation of the "milk maid braid" hairstyle. The bohemian braided hairstyle was pleasantly easy to accomplish and is an instant dash of summer chic! A sassy hat is one of my favorite ways to top of an outfit especially during the summer. 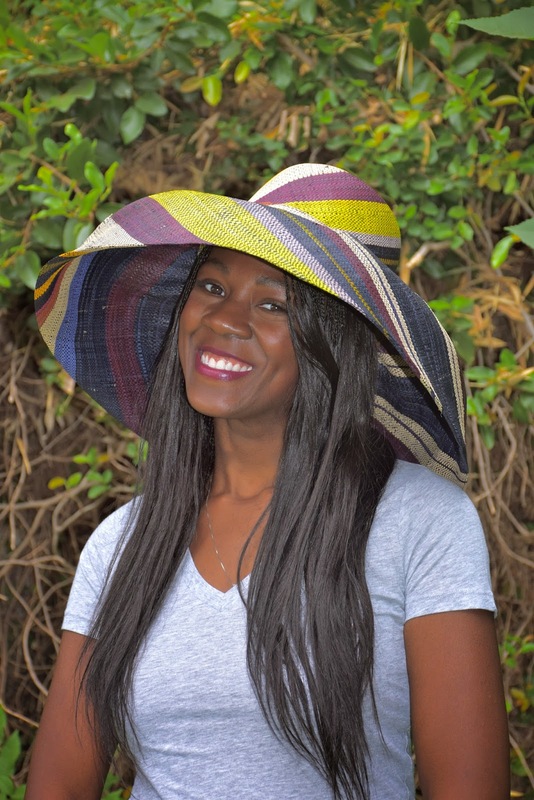 I have hand selected my top three favorite sassy & savvy summer hats. Three things that they all have in common are that they provide additional protection from the sun.They are there for us ALL on a bad hair day and of course are stylish! for this outfit the Chanel Boy Bag. This is my version of stylish, savvy, and sassy on days when I want simply want to relax. I hope that you enjoy and are inspired to create your favorite “Jean & T-shirt” look. I first discovered Kate Spade a few years ago when my younger sister introduced me to one of her favorite brands that had taken over the east coast in a stylish and sassy wave. We were in New York on vacation when I had my first taste of Kate Spade at their Flagship. My experience was amazing from savvy classics to sassy quotes it was love at first spade! The event was a great opportunity to support the sweet and gorgeous Annie of Stylish Petite and view the latest "Havana" collection. The newly renovated boutiques dressing rooms were absolutely gorgeous and a stand out for me. I loved the sassy vibrant topical feel created by the wallpaper and elaborate lighting fixtures. I believe summer is about experiencing and creating adventures from leisure days at the beach to late night movies. 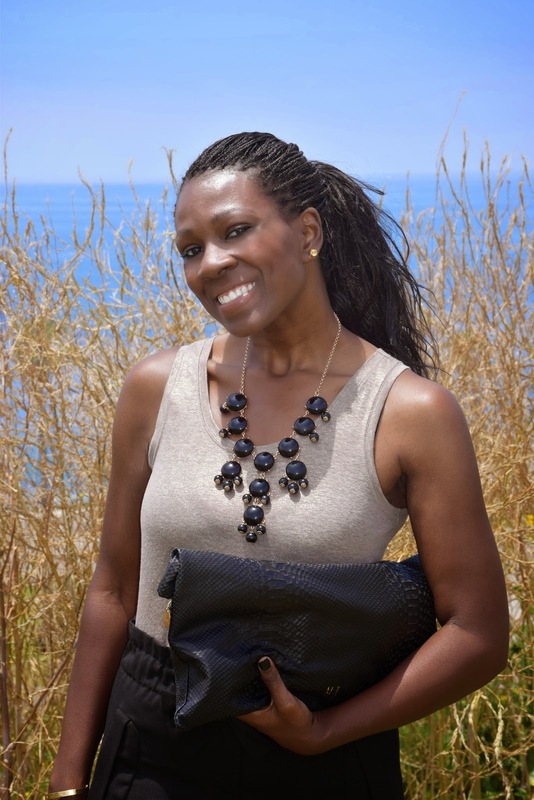 When it comes to summer fashion I am a huge advocate of simple easy pieces & sassy accessories. I love a savvy multitasking outfit that easily transitions from day to night. I use traditionally evening pieces and mix and match them with day time selections to assist with the ease of transition. 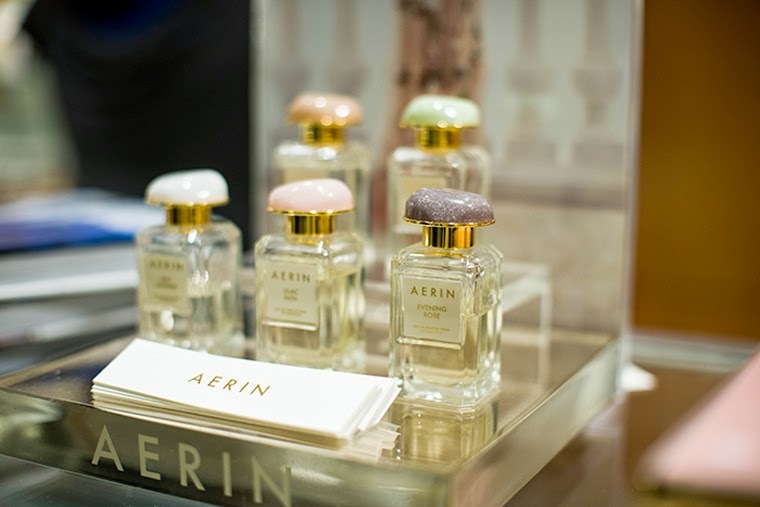 I recently set out on a journey to find my sassy signature summer fragrance and discovered my new scent within the Aerin fragrance collection. I first mentioned Aerin a few months ago here and I am thrilled to add her Amber Musk fragrance to my collection. Aerin is currently the style and image director for the Estee Lauer companies and has her own cosmetic, perfume, fashion and furniture lines. Aerin is extremely savvy and has a distinctive signature style that is present in all of her work. One might say beauty & fashion are in her blood as she is the grand-daughter of Estee Laduer and Joseph Lauder,the co-founders of the cosmetics company Estee Lauder Companies.